While getting a loan with poor or tarnished credit may look like a difficult task, there are ways to access credit in case of emergency and pay expenses. If you are a union member, your credit union is the first stop before you contact other lenders. Staff members will be more willing to discuss your financial situation and options available. In general, unions are non-for-profit organizations that offer attractive interest rates and lower fees as a way to pass along earnings. Unsecured personal loans are also offered by major banks but it is more difficult to qualify with poor credit, and the interest rate may be significantly higher if approved. See a list of Credit Unions. Close friends and family members may be willing to lend a helping hand if you are strapped for cash. Just remember to treat this loan the same way as you would if you applied with a traditional lender. You may want to create a written agreement and include details such as the amount loaned, interest rate, repayment term, and so on. If you put some valuable item as collateral, make sure you mention this as well. There are services that allow consumers to register loans offered by friends and family members. This way both parties benefit from the transaction – the lender can rest assured that the loan will be paid off, and the borrower gets access to cheap money. If you have a less-than-perfect credit score and no valuable assets to pledge as collateral, then you may want to apply together with a friend or relative who agrees to act as a cosigner and has a very good or stellar score. This should be someone who trusts you and is willing to help you out. If a close family member knows your financial situation and has а good debt to income ratio, talk to them to see whether they are willing to so-sign. Applying with a cosigner or guarantor is risky for the cosigner himself because he will be responsible for repayment to the full amount in case you are unable to pay off the balance. Consider this option only if you are completely sure you are able to make timely payments. This is yet another option to access affordable financing if you have bad credit whereby the equity in your property serves as collateral. Financial institutions are more willing to extend loans at lower rates because borrowers pledge a valuable asset to serve as a guarantee of prompt repayment. Major Canadian banks and other establishments offer home equity lines of credit as a flexible solution to access cash. The main benefit for consumers is that they are free to make withdrawals up to the limit at any time. On the downside, if you default and are unable to make timely payments, this puts your home in jeopardy and you risk losing your property. Otherwise, a home equity line is also a good way to reestablish credit, and borrowers benefit from competitive variable rates. Some banks also offer a fixed rate option which makes it easier to budget and make payments. The term and rate vary from issuer to issuer, and many banks offer homes equity lines with a term of 1 to 5 years. Peer to peer networks have become popular over the last years, and this is one alternative to traditional lenders and credit unions. Basically, users who need cash post listings on an online platform and provide information such as loan purpose and amount. Then investors or lenders review these listings to check whether applicants meet their criteria. The good news is that customers are offered attractive interest rates because they borrow from individuals and not traditional lenders. At the same time, online platforms also run a credit check and not everyone qualifies. How Do I Get a Loan with Bad Credit and No Co-signer? 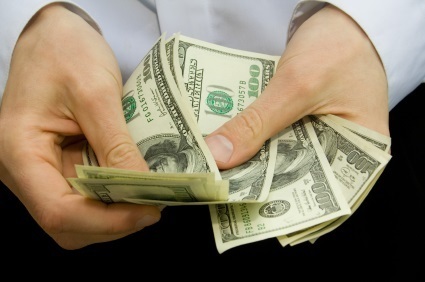 Some lenders specialize in bad credit personal loans and offer cash to individuals with less-than-perfect credit. If looking for a bad credit personal loan in Canada, you can apply with a lending service that offers financing to borrowers with financial problems such as poor credit records, foreclosure, bankruptcy, arrears, and so on. Some lending services advertise quick or instant approval, no credit check, online application, no prepayment penalties, and simple repayment terms. There are lenders that offer large loans of up to $15,000, and borrowers are free to choose from different long-term unsecured solutions. This is yet another solution for Canadians who are strapped for cash and have urgent expenses to cover. They are offered to consumers with below standard credit ratings and go with higher interest rates because lenders deal with high-risk individuals. Such borrowers are at a higher risk of default and usually have multiple loans, missed loan payments, and maxed out cards. If you have bad credit and need a small loan, this is one option to consider. The term is usually shorter and ranges from 2 weeks to several months. First-time customers are offered small loans of $200 – $500 while repeat customers may apply for larger loans. Given the term and small amount, you will be able to repay the loan over a short period which will give you some breathing space to sort your finances. Just watch out for loan sharks and other lenders that use illegal means and collection practices such as violence, multiple calls, and blackmail. Reputable lenders offer loans with a rate of about 30 percent, and you only need to be of the age of majority and to have a bank account and stable job to qualify. In addition to loans offered by standard and non-traditional lenders, there are other options for bad credit borrowers, including pay advances by your employer and secured, prepaid, and department store cards. A secured credit card is a good solution to improve your rating and get access to a range of affordable solutions.